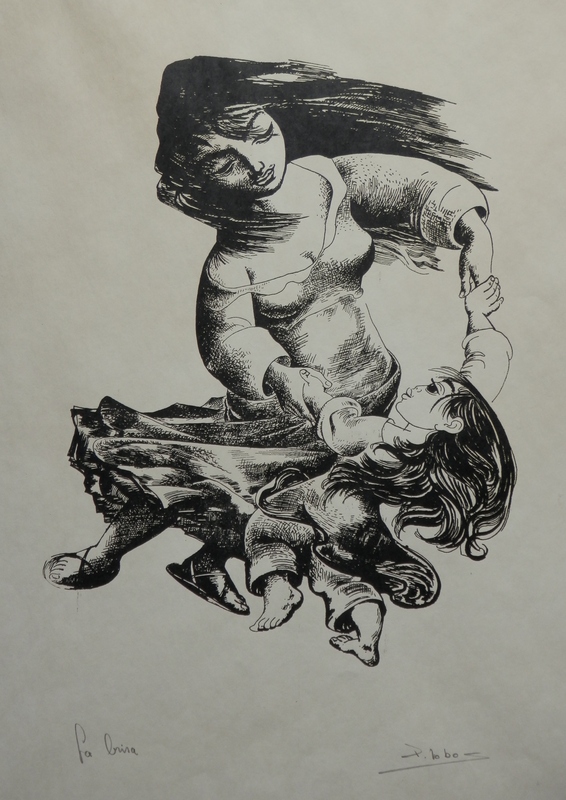 I came across two woodcuts this past week. They originate from an artist previously unknown to me and from a country which I have no other art works from. Neither have I visited this country. Even the continent in which this country lies is only becoming a more common place for tourists to visit. I talk of South America and of the country of Chile. The artist is #PedroLobos (1919-1968). Pedro Lobos came from humble origins – the son of a peasant family. He worked by day as a textile worker. He excelled at portraying rural issues and concerns. After his high school graduation he worked as a labourer in the textile industry. This experience marked his life deeply, and he began his militancy and commitment to the poorest of Chilean society. He joined the communist youth and rose to hold the post of Secretary General of the Communist Party. He studied art at the University of Chile. Pedro Lobos reported and recorded for posterity in a lively and unique way the living conditions of the Chilean underclass. His work and studies were developed abroad. Lobos studied in Mexico in the 1930’s. Mexico was considered the heart of muralism. There Lobos formed his colourful and harmonious style, strongly influenced by popular themes, peasants and folklore. He later studied in Brazil. Pedro Lobos is described as a painter of the childish joys of the people and of the poor children of big sad eyes. This is certainly true of the two prints in my collection. A man of immense talent and vision. A man who loved the people he portrayed. It shows in his work. 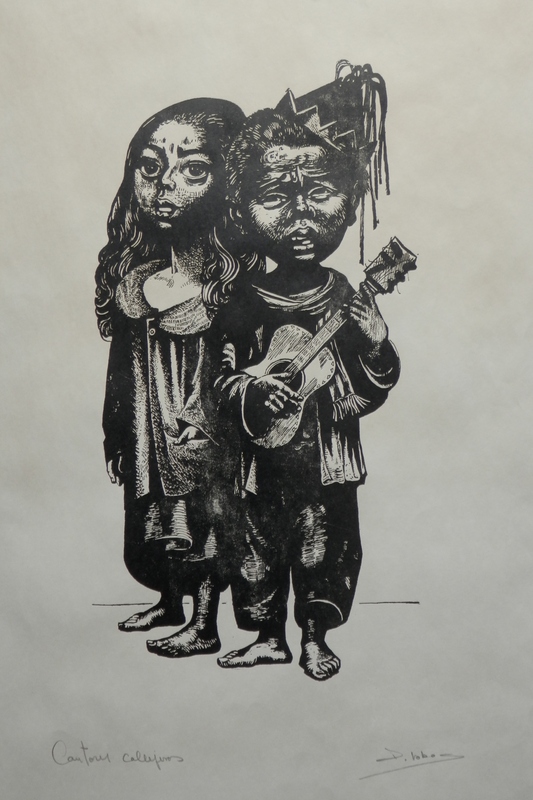 This entry was posted in Lino/woodcuts, Modern prints and tagged children, Chile, dance, dress, Pedro Lobos. Bookmark the permalink.